This was my second visit to this new food centre at the Bedok Interchange that replaced the demolished one. It was unexpectedly crowded at about 2.30 pm on a weekday with most tables occupied at that time. 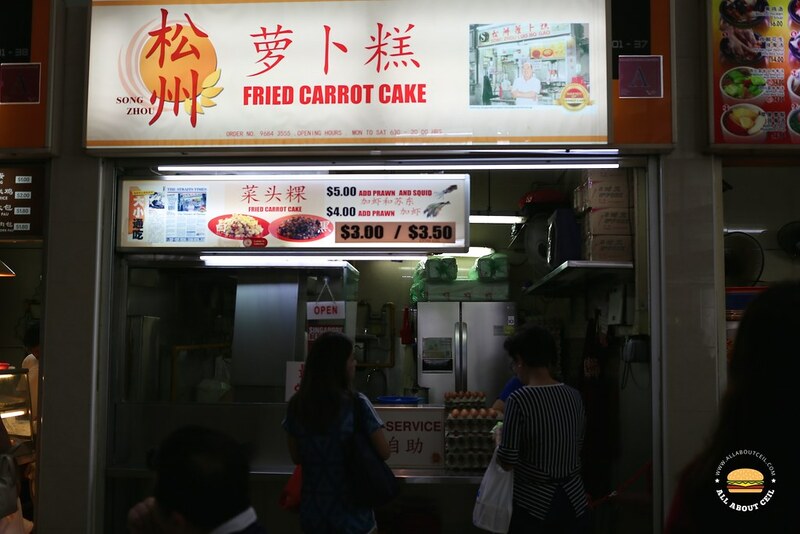 My all time favorite stall in this food centre has to be Song Zhou Fried Carrot Cake. I used to like it so much that I would travel from Ang Mo Kio just for it. I tried it once after they moved to this food centre and it was still good then, that was more than a year ago. The choices on the menu include the $3.00 portion, the $3.50 with extra egg added, also the $4.00 with prawn and $5.00 with prawn as well as squid. I decided to go with the black version at $3.50. There was just another customer in front of me when ordering. I was asked whether to have it with chili and before deciding, I asked, "How spicy is the chili?". The young man looked up while cooking, he said, "It is quite spicy." I decided to go without it since my dining companion has little tolerance towards spiciness. The young chap handed the plate to me when it was done and he remembered that I mentioned it was to be shared with a friend so 2 forks were given. Such thoughtfulness is much appreciated. I was excited when I had the first mouthful but it left me feeling disappointed as it just did not taste as good this time. 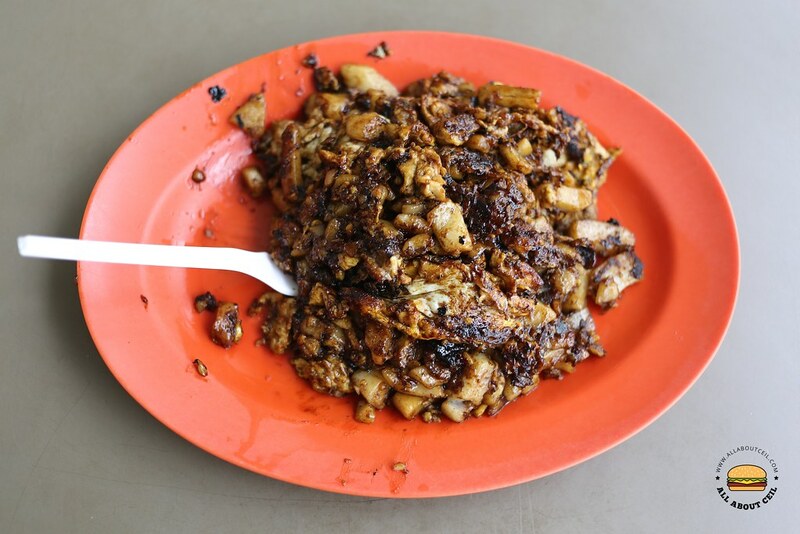 It used to be fried by an elderly Uncle when they were at the old food centre and perhaps that explained why there is a difference in taste. It did not have enough sweet dark sauce added to give it the sweet-savory flavor that a good black carrot cake should have. There was also not much garlic and preserved radish (chye poh) flavor, though the amount of egg was quite generous. Though they are no longer making the carrot cake, its texture was still noticeably soft. It used to be amongst the best but not so now. I would prefer the black carrot cake by Hua Li Fried Carrot Cake at the newly opened Marsiling Mall Food Centre that I just had quite recently. Did you get to try mei xiang yuan satay at marsiling? They are closed on monday and tuesday. They can't cope with the business. No, not yet, only went there once. Will try if i go again. i still think this stall has the best carrot cake, HANDS DOWN!